Mirror City Press, 9781732431904, 178pp. A Jewish girl from Cleveland meets a pregnant Texas belle over a package of dried squid in a Tokyo grocery store. Their common ground? Both newlyweds, married to Japanese men. Despite being unable to decipher the maps in Tokyo's train stations well enough to know where they're going, they abandon plans to cook dinner for their husbands (they don't know what half the things in the grocery store are anyway) and set off on a quest to find land. Will they find space for themselves, in a place where there's none? Will the Clevelander ever understand the haiku about cherry blossoms her husband reads to her in the bath? Will the women learn why, when you press a mysterious button in the restroom stall of a fancy Ginza department store, a tinny rendition of "Matchmaker Matchmaker" from Fiddler on the Roof is emitted from somewhere above the toilet seat? And will the Texan give birth on the Seibu Ikebukuro Line train? 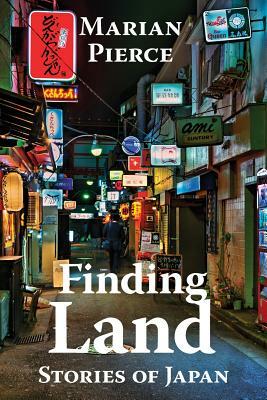 These stories chronicle the adventures of two card-carrying members of Tokyo's "Foreign Wives of Japanese" club at the height of Japan's economic boom years.